Over a thousand aspiring champions joined the Jr.NBA/Jr.WNBA presented by Alaska school clinic in Sacred Heart School- Ateneo de Cebu today, Jan 25,2014 breaking the record of Davao City. These little champions have participants from private and public schools and some of them came from Bohol and Ormoc. 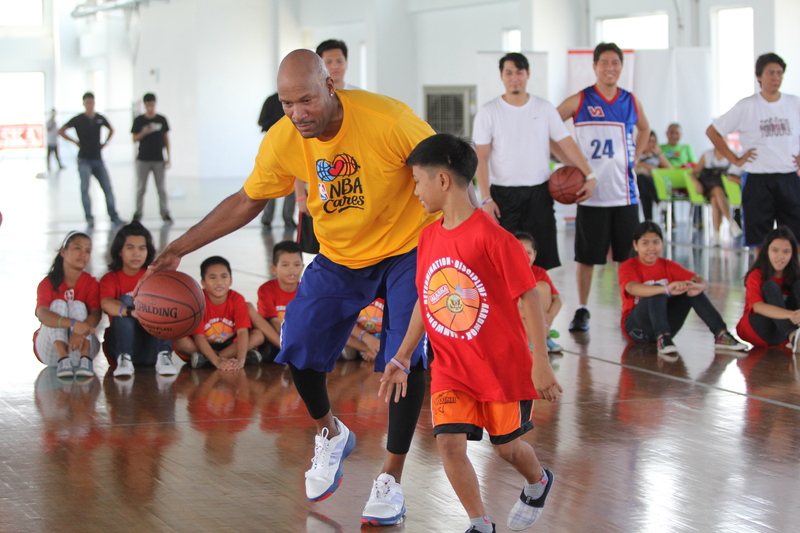 In partnership with the US Embassy and NBA, Alaska Milk Corporation held a Basketball clinic for the undeserved youth last October 5, 2013 with NBA Legend Ron Harper. The Basketball clinic gathered more than 80 boys and girls from residential care facilities under the DSWD: Marillac Hills and Haven for Children. Alaska Milk aims to instill the values of determination, discipline, teamwork and hard work among the youth through sports. For more information, log on to http://www.alaskamilk.com or follow our twitter @ALASKAsportshub.